Henry is at the age where he spends a lot of time putting items into a container then taking them out and repeating the process over and over again. I am always on the hunt for new things to keep him busy so today we tried a new activity. 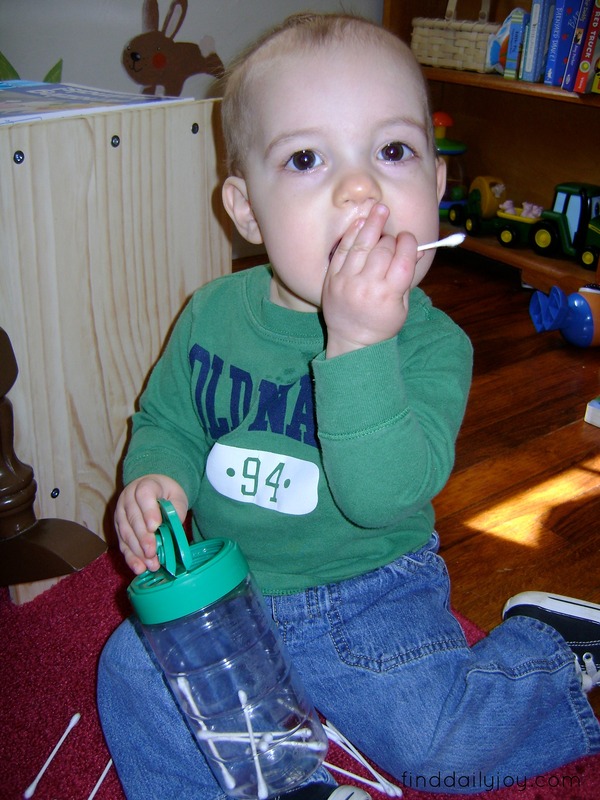 For this activity I used an old parmesan cheese container and several cotton swabs. The lid to this container has two sides. One side has a large opening and the other side has three smaller holes. 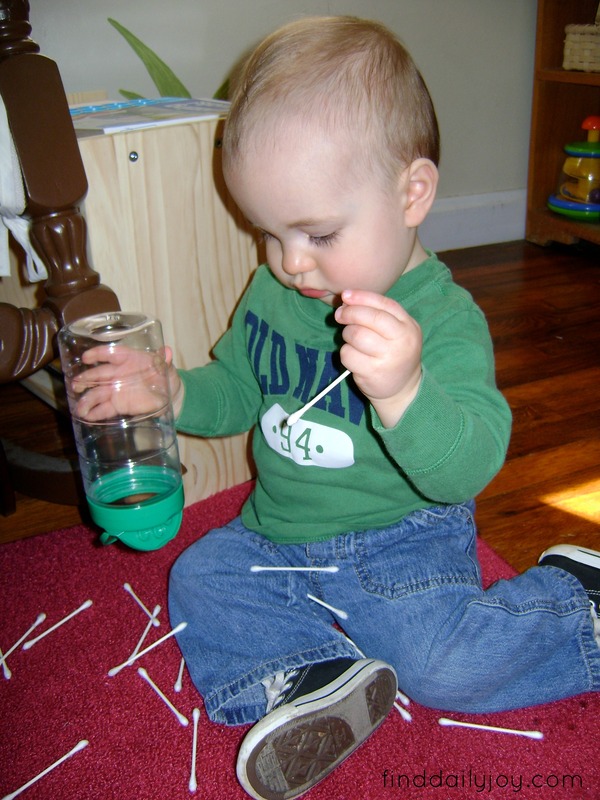 Henry thoroughly enjoyed picking up the cotton swabs and dropping them into the smaller holes in the lid. 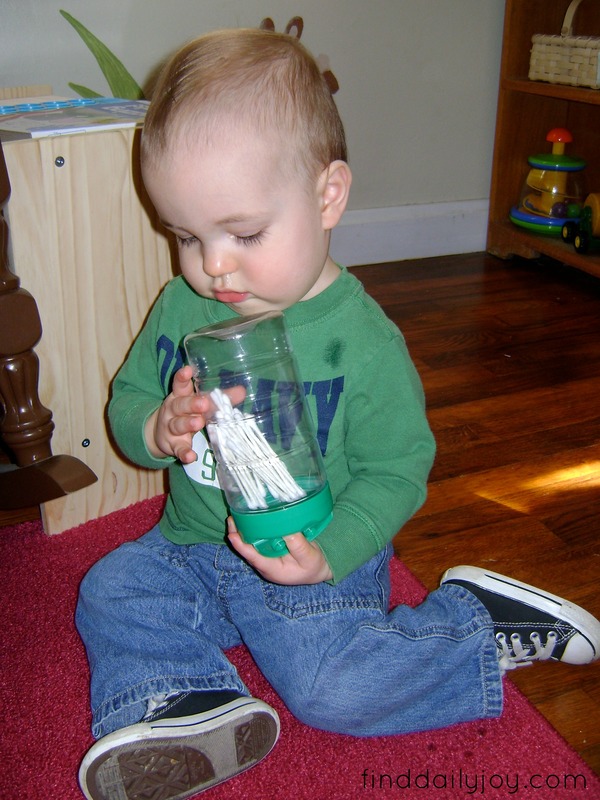 Once he had put all of the swabs in the container he was confused as to how to get them back out. It took him a little while, but he finally figured out how to open the other side of the lid and dumped the cotton swabs out of the larger opening. Although Henry did try to stick the Q-Tip in his mouth from time to time he is learning that when I tell him “no, that’s yucky” he should take it out and he is getting better at not immediately shoving every single thing in his mouth. 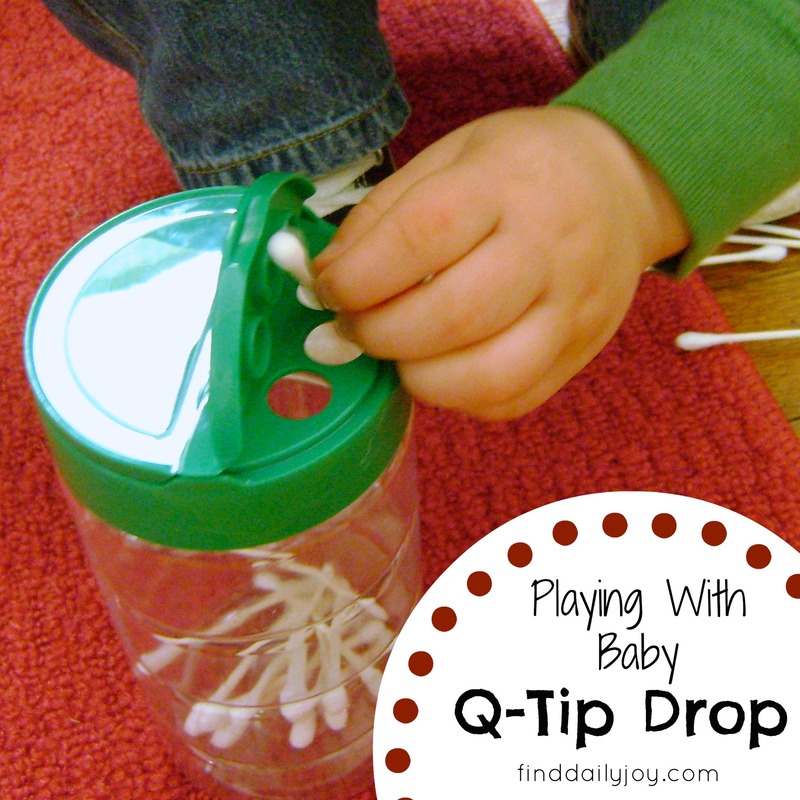 Check out my other fun ideas for playing with baby here. 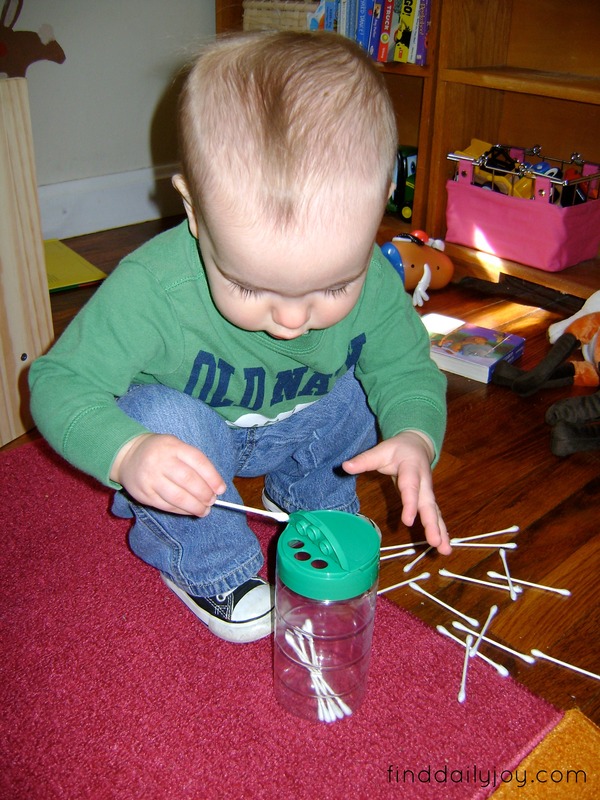 This activity is great for developing your child’s: fine motor skills and hand eye coordination. Maybe you should try pipe cleaners. If you cut them into pieces they would be about the same size and I don’t think he would associate them with cleaning his ears. Just be sure to fold over the ends and twist them tight. You wouldn’t want any sharp metal ends poking him!